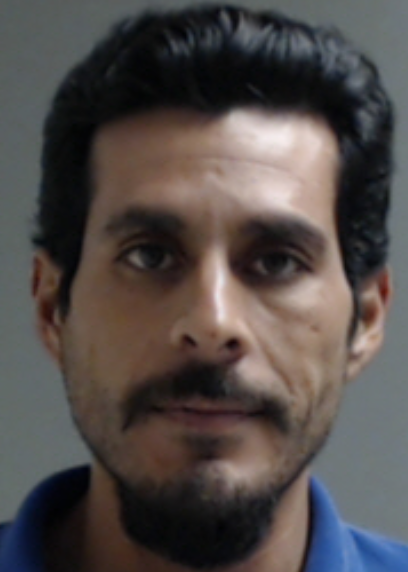 McALLEN — A Weslaco man accused of rolling over a vehicle full of undocumented immigrants was denied bond Tuesday. U.S. Magistrate Judge Peter E. Ormsby denied bond for Damian De Los Angeles Garcia during a detention hearing in federal court Tuesday afternoon. Ormsby noted an outstanding warrant on an unrelated state charge pending for Garcia, saying he would remand him into federal custody based on that alone. The 34-year-old man was arrested along with two alleged co-conspirators on April 23, after the SUV he was driving crashed into a metal fence, leaving one undocumented immigrant dead. The vehicle, which was occupied by Garcia and at least 14 other undocumented immigrants from Mexico, Guatemala and El Salvador, rolled over and left one person, who has not yet been identified, dead. According to the complaint filed against Garcia, he loaded about 14 immigrants into his SUV in an area along the Rio Grande known as Relampago, just south of Mercedes. Before the crash, Garcia told authorities that his guide, Jose Angel Cabrera-Ricardo, called him to warn about potential agents patrolling in the area. This, Garcia said, led him to climb into his vehicle and leave the loading area immediately. Moments later, he crashed the SUV, injuring all on board. Multiple rescue crews responded to the crash, which took place near the intersection of the south floodway levee and PFC Pedro Martinez Road, officials reported. Eduardo Zuniga-Martinez, also found to be working with Garcia, was in the passenger’s seat of the SUV. Homeland Security Investigations officials have referred all questions regarding the crash and subsequent arrests to the U.S. Attorney’s Office. Angela Dodge, spokeswoman for the Southern District of Texas U.S. Attorney’s Office, said the office does not release the names of victims in any case that could be prosecuted federally. In two separate court hearings, the identity and nationality of the deceased has yet to be mentioned. One official with knowledge of the investigation into the crash but not allowed to publicly comment on those matters said the person who died as a result of the crash was a citizen of Guatemala. The official declined to give additional personal information about the victim. Messages left with officials at the Guatemalan Consulate’s office regarding the identity of the deceased person were not returned as of the posting of this report. Zuniga-Martinez and Cabrera-Ricardo, who appeared in court last week, remain in custody as they await their next court setting. The government is expected to hand down an indictment related to Garcia’s arrest within the next 30 days.